Windows & doors & stairs, oh my! Every man’s home is his castle! It’s also full of symbolism. The roof over your head, the window you gaze through, the threshold you walk across— all these structural features can be used symbolically in literature. allow the character to view the outside world–which may or may not be a good thing. In The House on Mango Street, poor immigrant wives sit by the window staring out into a world they are never able to participate in. with dirty glass might indicate the observer’s foul view of the world. with always-closed drapes might reveal a characters’ closed-mindedness or fear of the outside world. are the eyes of the soul—traditionally speaking. of stained glass—especially those with religious iconography—shout RELIGION. The observer sees the world through the dogma of their religion. represent the divide between good and evil. transition from one stage in life to another. a divide between one world and another. with a religious symbol or object portray reveal the occupant’s beliefs. For example a mezuzah—a scroll with Hebrew words to remind one of God’s presence and commandments–is specifically placed on the doorpost of Jewish homes. with locks suggest secrets and forbidden places/worlds/experiences. the material of the floor may also be symbolic. Is its marble ( wealth ) or rustic wood ( humility ), or linoleum ( low income ). Does the floor’s pattern reveal something about the culture or social class of the characters? the shape of the roof is suggestive, as well. Domed roofs are emblematic of heaven, low roofs suggest restriction or being hemmed in by dogmas, vaulting roofs might be metaphor for high-mindedness or lofty ideals. In Effi Briest the stairs in the young wife’s home are described as “crooked, rickety, and dark” which aptly describes her feelings, the house’s history, and her marriage. Have fun deciding which rooms to use in your novel! 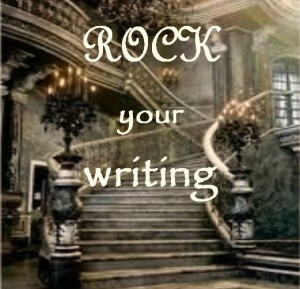 This entry was posted in Reading & Writing, ROCK your Writing and tagged analysis, analyzing literature, attic symbolism, basement symbolism, drawing room symbolism, fiction, hallway symbolism, kitchen symbolism, library symbolism, literary, literary analysis, living room symbolism, LZMarie, novel writing tips, novels, novelssymbolism, rock your writing, writing, writing blog on February 23, 2014 by lzadmin.